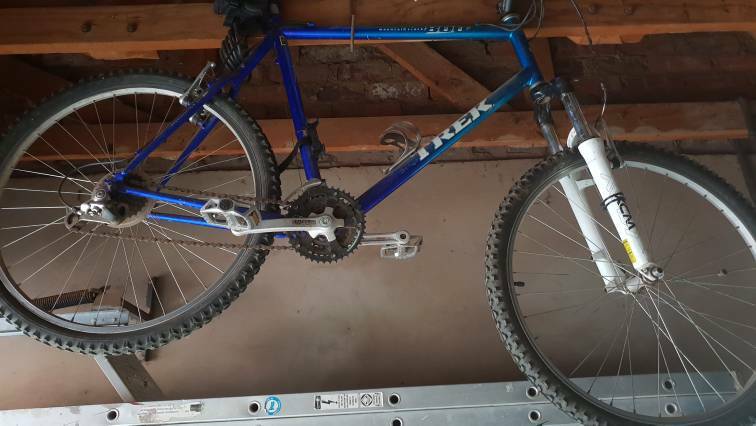 Trek 800 mountain track MTB for sale. Old fork and handlebar also included. Ek stel baie belang asb. The bicycle is still available. If 29 I am super interrested! V-Brakes, Trigger Shifters, Shimano components.